1. “Athletes Eat And Train They Don't Exercise”: It takes a variety of vitamins for your athlete to have their best performance on the court. To prevent breaking and stress fractures consume enough calcium, it helps build up strong bones. Also iron assists by carrying oxygen to various body parts that need it. Eating foods that are enriched in protein and carbohydrates helps keep a balanced diet and gets you energized for. In particular, children that endure two or more hours of physical activity may need to consume more food to keep up with the increased energy demands. Serious health problems are caused by over exercising without eating the right foods. 2. “Health is 80% of What You Eat”: Nutrition is important for all kids growing up, and it’s especially important for children playing sports. Take the time out to schedule an appointment for both you and your child to see a nutritionist to begin a journey of a happier and healthier lifestyle. Buying fresh fruit instead of fruit juice takes out all the unhealthy grams of sugars. Present your child a plate with a variety of vegetables, including dark greens, beans, reds and oranges, and peas. Restrict refined grains, such as pastas, white bread, and rice. Limit saturated and trans fat. Encourage your child to eat and drink fat-free or low-fat dairy products. The more you eat healthy the better athlete you will become. 3. “ Every Day Is A Chance To Get Better”: Obtaining a healthy lifestyle and getting your body in shape takes time, so don't feel rushed or worried if you do not see results in a short amount of time. As long as you are dedicated in eating the right food you are on your way. Getting up every morning with the same passionate mindset towards your goal of achieving excellence is all you need. 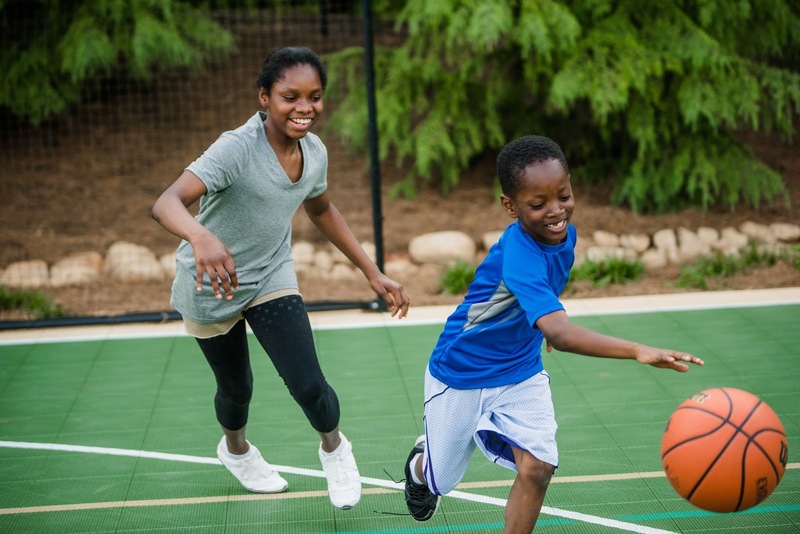 At Sport Court we provide you a court that empowers you to be a champion.